Goals: Provide a content publishing platform to service this NFP organisation and grow memberships though and online application and payment system. WordPress Development, Business Website, WordPress Development, WooCommerce. 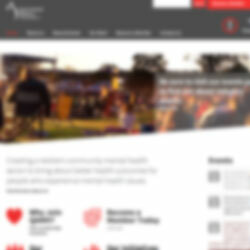 This was a large membership site project for a Queensland based non-profit organisation. The project was “white-labelled” through one of our design agency partners, hence the screenshots are blurred out. Curata can provide “PM for hire” and white-labelled web development services to design and marketing agencies who don’t have in-house web development teams. This website project featured an eCommerce portal using WooCommerce and membership functionality. Prospective members can submit an application for online and then complete their membership purchase through the “shop”. The website features a number of “custom post types” (a powerful WordPress feature) to organise content. There was a heavy requirement to provide an easy to use publishing platform for news, events, jobs and other industry resources such as video.